Oh Lordy. How’dya like that 8 pound bump o’ baby? At this stage it’s like I’m carrying a bowling ball around, he is SO heavy. – Missing my lovely clothes and looking forward to shopping once I lose some weight! 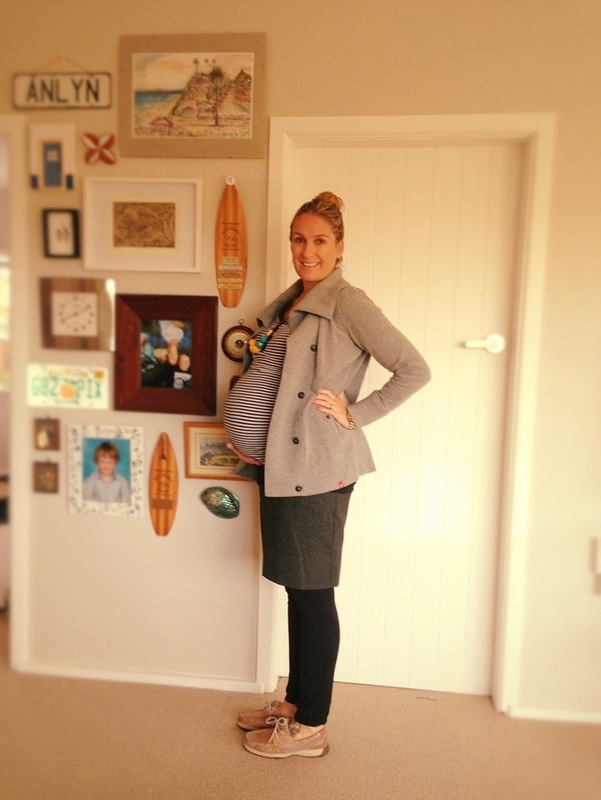 – Loving that E came to the growth scan this week with me, it was his first of the whole pregnancy and it was awesome. Because the hippo is so big it was easy for E to understand what he was seeing on the ultrasound. Leftover paranoia from my miscarriage that was discovered via a routine ultrasound – with E present – meant that Dave and I have gone to all previous scans sans E.